From experimental art, photography and image generation to microscopy and science. Reddit is a great website, where the ability to share and discuss things on the web gives some great little discoveries. 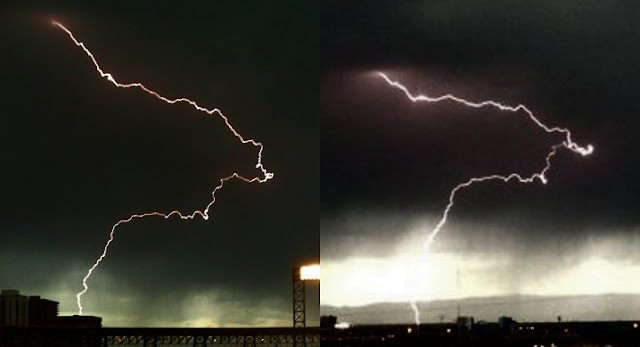 Things that would otherwise seem impossibly unlikely, like two people in completely different places getting a photo of the same lightning bolt, suddenly pop up all the time. Having two pictures of the exact same lightning bolt lets you do something pretty amazing; reconstruct its path in 3D. In this case because the precise location and elevation of the photographers isn't known this is slightly more art than science, but it is still fun! It is immediately clear that they are taken from about the same direction but different heights: the second bolt looks squashed vertically. This means the pair of images are roughly a stereo pair, but with a vertical shift instead of a horizontal. This is just like the pair of images you would see with your eyes if you had two eyes positioned vertically instead of horizontally on your head. 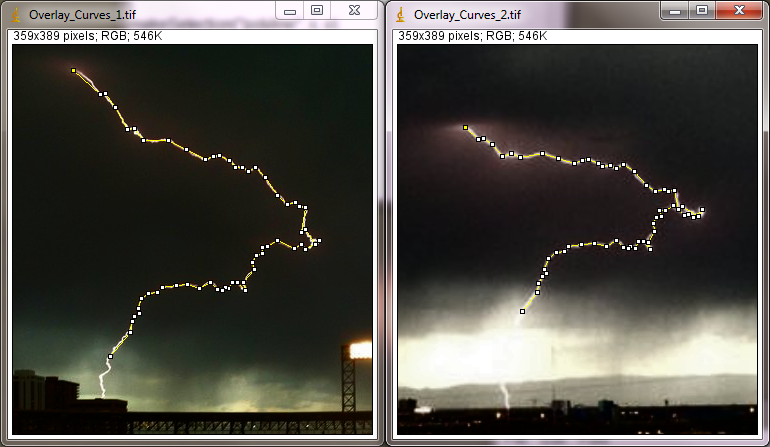 To analyse this the first step is to trace the lightning bolt, making sure that every point in one image matches up to the corresponding point in the other image, then record the coordinates of all the points. 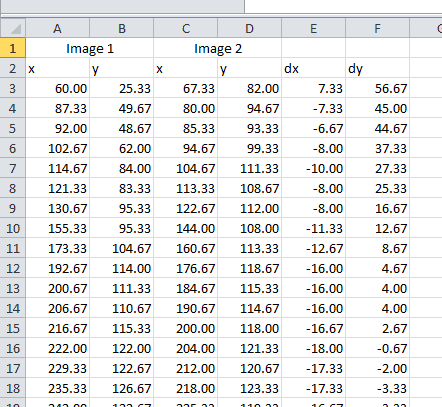 This gives a nice table of numbers where you can calculate the difference in x and y position in the two images. Now we need to do some maths... except I don't like doing complicated maths and it turns out there is a big simplification you can make! If both pictures are taken from a long way away from the lightning bolt (i.e. the object has quite a small angular size in the image) then the shift in position between the images is proportional to the distance from the camera. Bigger shifts mean that bit of the bolt is closer to the camera. This approximation is pretty accurate for the majority of cameras, so I used it here. The other problem is the proportionality factor. If one part of the lightning bolt shifts twice as much between the two images as another part that means it is twice as close. But twice as close as what? Without knowing exactly where the cameras were positioned that means only the relative distance, not absolute distance, can be calculated. Oh well, close enough! Blender: 3D modelling and rendering. This is amazing, I think of doing it, but wouldn't be able to do a better job !! This is great. It also makes me wonder how much "forking" is actually just an optical illusion caused by "folding." Looking at the second picture you might think there's a short fork as the main bolt changes direction, but adding the second picture it is clearly just a direction change in the same plane. Forking is real, but my understanding is that most forking happens prior to the actual lightning strike. When the event starts, there is a period of time during which the cloud seeks the path of least resistance to the ground. There is a lot of forking that happens here. However, once a connection is found, the resistance drops suddenly and all of the current is directed along that path. Consequently, the other forks are abandoned as the connection is a (locally) preferable conduit between the cloud and the surface. With cloud->cloud lightning I think forking is much more common as the charge dissipates into many different parts of the cloud which is being struck. Wow, this would be awesome to see.. I hope someone does the same thing more often with cameras & a bolt from known positions. Since lightning regularly strikes Cape Kennedy two cameras could be positioned at known heights & distances from the shuttle pad. 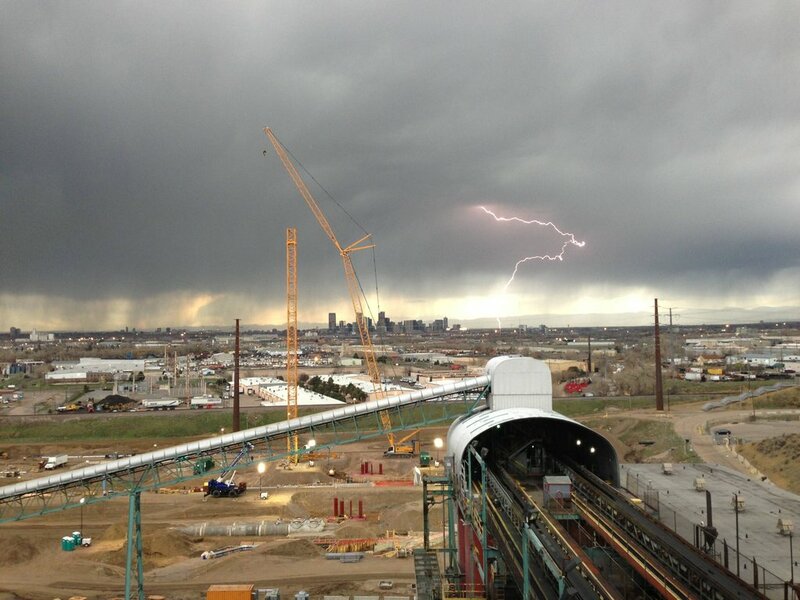 Turn on high speed cameras during storms & wait. I believe you could get some more info on the positions of the cameras from their content and some aerial photograpy, maybe even Google maps of similar would be sufficient, as one is in a stadium and the other seems to be in an industrial facility. LET`S PRINT IT ON A 3D-PRINTER!!!! That's a funky shadow your lightning is producing.. :D Otherwise, very very cool! I gotta throw this in there - could blender's object tracking pick that variation from two or three frames to get the same result? The result is indeed pretty amazing considering that two people took these photos. Thank you for sharing the step by step process. Who says converting still images into 3D photos is difficult? I'm also working on something like this. Congrats. The more images the better the result. Very cool! Has it been done before, I couldn't find anything.. Fantastic post Richard. It was fun to read and must have been lots of fun to work on this. Thanks for sharing. No problem! Thanks for the kind words. Can you provide info on how you did it in Blender? I did it by using the mesh editor, just by typing in the locations for the vertices that I had calculated in Excel... Tedious! Nice, have you thought about making more? There must be more dual pics of other strikes. I haven't been able to find one! If you look at meteorological research papers no one else seems to have ever managed it before either. Cool job, But couldn't you possibly back calculate the approximate locations of the photographers? The baseball diamond has very precise dimensions. These could be use to determine the angel and relative location of the photographer. For the other image. There seems to be quite a few references that would allow one to accomplish the same thing. 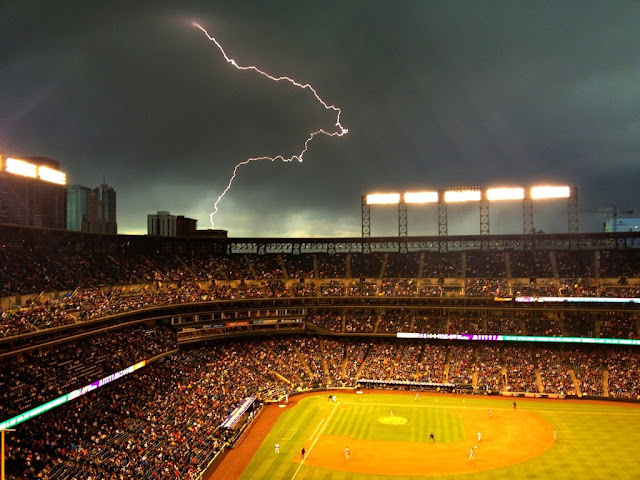 Once the locations are established, then wouldn't it then be possible to determine the location of the entry and exit point of the lightning bolt? I believe that his is called photogrametery. I did look into doing it. It's probably possible, but the maths is tough! Especially with cameras that aren't designed for photogrametery (one was an iPhone)... Maybe one day I will manage it! Where can I learn about the math you used to do this with? This looks very interesting and I'd like to learn more, even though math isn't my strong subject. We provide the path lighting, outdoor walkway lighting, outdoor path lights at EliteFixtures. All covered by a full warranty. We get great data from this blog. Thank you for providing the great information on a Lightning Protection SystemThe pictorial representation is very helpful for every new user. I have done this myself but i am wondering how to plug the coordinates into blender. Please help. > This is just like the pair of images you would see with your eyes if you had two eyes positioned vertically instead of horizontally on your head. So I rotated them to create a quick-and-dirty stereo pair: https://imgur.com/a/5BcFf . Thanks for the article. wuah,,, that's amazing, you are very talented. Awesome blog and great post.Its extremely supportive for me, anticipating for all the more new post. Continue Blogging! Nice post! I like your post a lot and rendering images too. Keep posting such a nice blogs.